A durable and effective noise dampening system, our UV resistant acoustic curtains provide an excellent noise barrier on construction sites and in other noisy work areas. Offering up to 80% noise reduction (at 24dB), the Fortress Sound Barrier is quick and easy to erect using a series of panels that fit together with Velcro. Available in a range of weights to suit different noise frequencies, including specialist mass loaded vinyl for extra noisy applications. Panels can also include access doors and clear vision windows. Custom branding is also available, please ask our friendly team for details. A cost-effective solution for mitigating airborne noise, the Fortress Sound Barrier acoustic curtains are lightweight and easy to install. This product has been rigorously tested and is approved to 80% sound reduction at 24dB. Each panel measures 1.3m x 2m and is constructed from a layered noise dampening materials, resulting in a tough, durable acoustic barrier that is extremely effective at attenuating noise. With Velcro strips on each long side and a neat hemmed and eyeletted finish top and bottom, the panels form a solid barrier when clipped together. The Fortress Sound Barrier acoustic curtains are easy to fit to temporary fencing, hoarding, scaffolding and other construction walling. They are UV and weather resistant giving them a long life span, and can be custom printed with your brand, turning them into an effective advertising medium. Whilst Fortress Sound Barrier acoustic curtains are easily attached to temporary fencing around construction sites, they are also effective as an indoor solution to surround particularly noisy work processes, for example in factory or production environments. 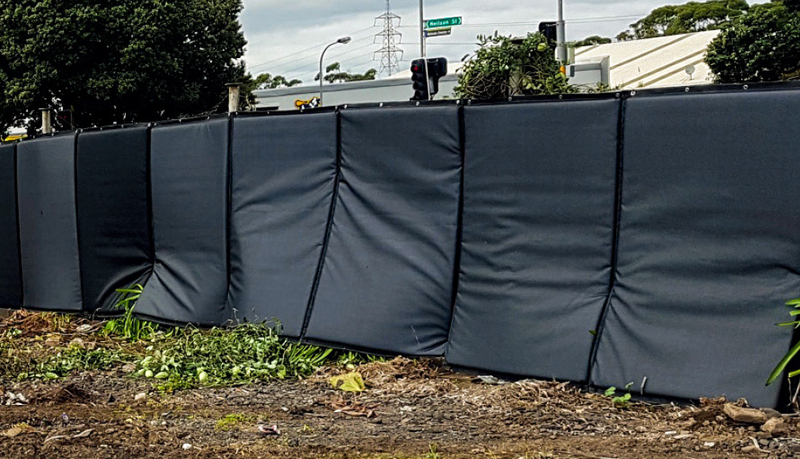 Acoustic barriers are commonly used to reduce noise to pedestrians and surrounding residential areas while construction is being undertaken. Conversely, they can be used to protect workers from noise pollution in high traffic environments and noisy plant and equipment. When a series of panels are firmly attached together using the strong Velcro closures, the system forms a compliant clip together kit form noise barrier. 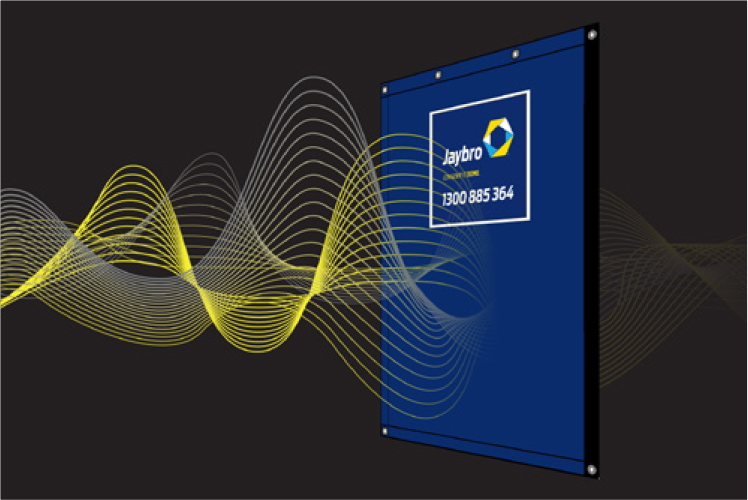 Ranging in panel weights from 6kg to 16kg per panel, the Fortress Sound Barrier is available in a range of options to suit different levels of sound attenuation depending on your requirements. Fortress Fencing can also supply Sound Barriers with MLV (Mass Loaded Vinyl). These offer the highest level of attenuation with 80% of sound absorbed at 27dB.